You don't need an X-ray. The savings are clearly visible. The Sprint Works℠ Program extends savings and special offers to healthcare employees. Please complete the form to receive your offer code and be pre-registered for savings. 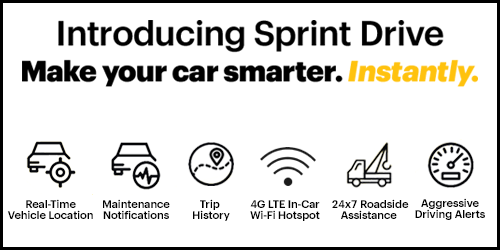 Are you already a Sprint customer? No need to fill out the form - activate your offer. You can save $1,400 per year over Verizon and AT& when you switch to Sprint. Pay off a debt, put a down payment on a car or take a vacation. Compared to Verizon Go Unlimited and AT& Unlimited & Mor for 5 lines, features differ. That's 1 line for $55/mo excluding taxes and fees. Don't forget! You also get $100 via Prepaid Mastercard® when you switch to Sprint. After 6/30/2020 with AutoPay $55/mo. for line 1 with SWP discount, $40/mo. for line 2 and $20/mo./line for lines 3-5.1 Hulu ad-supported plan per eligible Sprint acct. SD video streams up to 480p, music up to 500 kbps, gaming up to 2 Mbps. Data deprioritization during congestion. Other mo. charges apply. ** Card req. new acct. activ. with 1 ported line on Unlimited Basic and validation at sprint.com/verify. That's 2 lines for $95/mo excluding taxes and fees. Don't forget! You also get $200 via Prepaid Mastercard® when you switch to Sprint. After 6/30/2020 with AutoPay $55/mo. for line 1 with SWP discount, $40/mo. for line 2 and $20/mo./line for lines 3-5.1 Hulu ad-supported plan per eligible Sprint acct. HD content varies by device & connection. SD video streams up to 480p, music up to 500 kbps, gaming up to 2 Mbps. Data deprioritization during congestion. Other mo. charges apply. ** Card req. new acct. activ. with 1 ported line on Unlimited Basic and validation at sprint.com/verify. That's 3 lines for $105/mo excluding taxes and fees. Don't forget! You also get up to $200 via Prepaid Mastercard® when you switch to Sprint. That's 4 lines for $135/mo excluding taxes and fees. That's 5 lines for $155/mo excluding taxes and fees. Switch to Sprint and SAVE $1,400 your first year over Verizon & AT&T! Compared to Verizon Go Unlimited and AT&T Unlimited & More for 5 lines, features differ. For a limited time, get Unlimited for $19 mo./line for 5 lines. Plus get $200 via Prepaid Mastercard®. After 6/30/2020 with Autopay $55/mo for line 1 with SWP discount, $40/mo for line 2 and $20/mo/line for lines 3-5. SD video streams up to 480p, music up to 500 kbps, gaming up to 2 Mbps. Data deprioritization during congestion. Other mo. charges apply. ** Card req. new acct. activ. with 1 ported line on Unlimited Basic and validation at sprint.com/verify. Get the Brilliant iPhone XR for $15/mo. with Sprint Flex lease. iPhone XR 64 GB $15/mo. after $16.25/mo. credit, applied within 2 bills. With approved credit, 18-month lease and new line of service. If you cancel early, remaining balance due. Excludes tax. Samsung Galaxy S10e for $15/mo. Galaxy S10e $15/mo. after $16.25/mo. credit, applied within two bills. With approved credit, 18-month lease, new line of service. If you cancel early, remaining balance due. 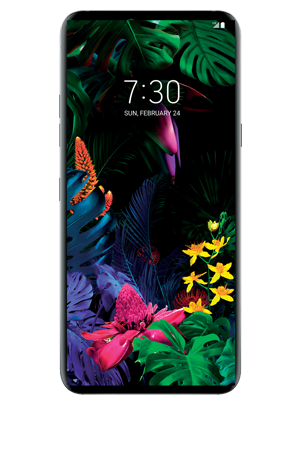 LG G8 ThinQ™ for just $15/mo. with Sprint Flex lease. Confused by how wireless carriers talk about their network? We get it. The truth is, all networks are great! So why are you paying so much more? Get our 100% Total Satisfaction Guarantee and see why Sprint is the right choice and will save you money! If you’re not 100% satisfied within the first 30 days, simply return your phone and we’ll refund your phone costs, service charges and related fees. No gimmicks. Sprint Drive: $0/mo. after $5/mo. service credit w/i 2 bills. For well-qualified customer w/ 24-mo. installments. Reqs. qualifying data plan. Early termination results in remaining balance due of full price. Excludes Taxes. Req. qualifying plan. Roadside Assistance: Max 4 calls per year. Capable device, qualifying service in good standing, and Sprint Drive app required. Third-party terms of service apply. **Monthly charges exclude taxes & Sprint Surcharges [incl. USF charge of up to 18.8% (varies quarterly), up to $2.50 Admin. & 40¢ Reg. /line/mo. & fees by area (approx. 5 -20%)]. Surcharges are not taxes. See sprint.com/taxesandfees. Limited time offers. Activ. Fee: Up to $30/line. Credit approval req. 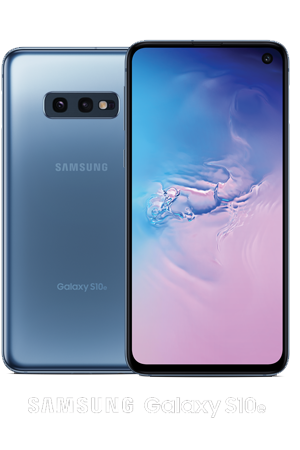 Phone Offers: Galaxy S10e 128 GB $749.99, iPhone Xr (64GB) MSRP $749.99, and LG G8 ThinQ MSRP $840.00. While supplies last. Monthly Credits: Ends at end of term, early termination, payoff or upgrade, whichever occurs first. Lease: Mo. amount excl. tax. Terms for all other customers will vary including amount due at signing & taxes/fees. Req. qualifying device & service plan. No equipment security deposit required. Upon completion of 18-mo. term, customer can continue to pay monthly lease amount, purchase or return the device. Customer is responsible for insurance and repairs. Early termination of lease/service: Remaining lease payments will be due immediately, and requires device return or payment of purchase option device price in lease. 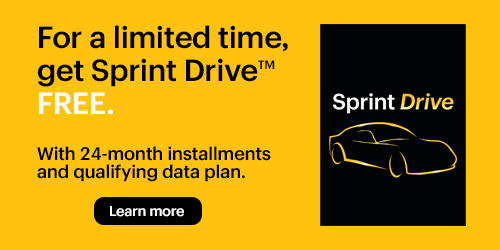 Sprint Drive Offer: MSRP $120. 24-Mo. Credit ends at end of term, early termination, early payoff or upgrade, whichever occurs first. Installments: Req. 24-mo. installment agmt, 0% APR & qualifying device & svc. plan. Mo. pymt. terms & down pymt. for all others will vary. Down pymt., unfinanced portion & sales tax (on full purch. price) due at purch. Early termination of 24-Mo. Installments/Svc. : If you cancel wireless svc., remaining balance on device becomes due. Mechanic hotline: Not a substitute for actual diagnostics and repair. Sprint Unlimited Basic Plan: Reqs eBill. Includes unlimited domestic calling, texting, data, & 500 MB/mo LTE MHS, VPN & P2P, reduced to 3G speeds after allotment. Third-party content/downloads are add'l. charge. Plan not avail. for tablets or MBB devices. Select Int'l svcs. are included for phone lines. See sprint.com/globalroaming. Subsidized devices incur an add'l. $25/mo. charge. AutoPay: $5/mo. discount may not reflect on 1st bills. Quality of Service (QoS): Customers who use more than 50GB of data during a billing cycle will be deprioritized during times & places where the Sprint network is constrained. See sprint.com/networkmanagement for details. Usage Limitations: To improve data experience for the majority of users, throughput may be limited, varied or reduced on the network. Sprint may terminate service if off-network roaming usage in a month exceeds: (1) 800 min. or a majority of min. ; or (2) 100MB or a majority of KB. Prohibited use rules apply -- see sprint.com/termsandconditions. Prepaid Card Offer: Sel. SWP with qualifying corp. id. While supplies last. $100 per line. Up to $200 per acct. Acct. must remain active for 61 days & in good standing at time of processing. Allow 10-12 wks. for delivery. Excl. CL, select SWP, add-a-line, tablet activ. upgrades, replacements, and ports made between Sprint entities or providers associated with Sprint. Prepaid Mastercard: Card is issued by MetaBank®, Member FDIC, pursuant to license by Mastercard International Incorporated. Mastercard is a registered trademark, and the circles design is a trademark of Mastercard International Incorporated. No cash access or recurring payments. Unused funds will forfeit after the valid thru date. Card terms and conditions apply. SWP Discount: Sel. SWP only. $5/mo SWP discount on line 1 on Sprint Unlimited Basic Plan. Avail. for eligible company employees or org. members (ongoing verification). Discount subj. to change according to the company's/org. 's agmt. with Sprint & is avail. upon request. Not avail. with no credit check offers. Limit one SWP discount per acct. Acct. must remain in good standing to receive discount. Satisfaction Guarantee: Call us to deactivate & return to place of purch. with complete, undamaged phone/device & receipt w/in 30 days of activ. We’ll refund your phone/device cost, svc. charges & activ. fee. Excl. int’l. usage not incl. in plan, prem. content & 3rd party billing. Sprint dealer may impose add’l. fees. A $45 restocking fee may apply. Visit sprint.com/returns. Other Terms: Offers/coverage not avail. everywhere for all phones/networks. Accounts that cancel lines within 30 days of activation on promo pricing may void savings. Included features/content may change or be discontinued at any time. May not be combinable with other offers. No rainchecks. No add'l discounts apply. Sprint reserves the right to change or cancel offers at any time. Restrictions apply. See store or sprint.com for details. © 2019 Sprint. Sprint & logo are trademarks of Sprint. iPhone is the trademark of Apple Inc. Other marks are the property of their respective owners.